The last few months were super exciting as I was co-organizing WordCamp Moscow and hard at work building this new theme. That’s why things have been a bit quiet here at ThemePatio. 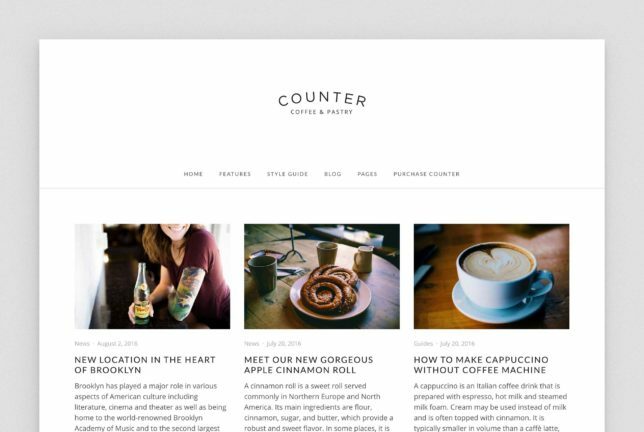 But the wait is over, and I’m finally ready to show you Counter — a brand new WordPress theme for small businesses. 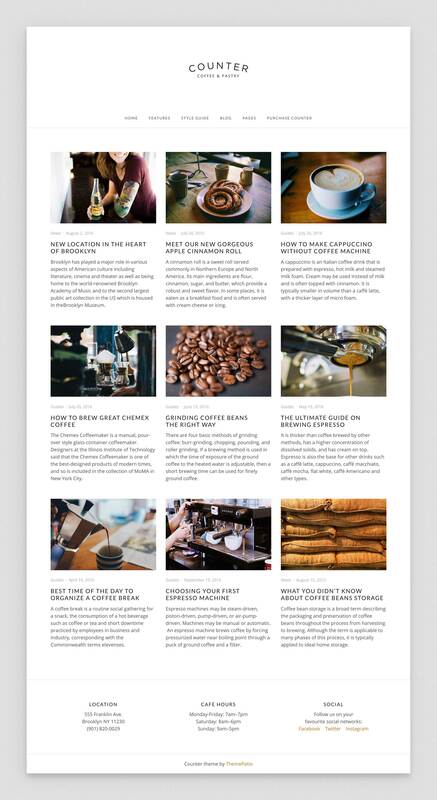 Before creating this theme, I researched many websites for cafes, restaurants, bakeries, bars, spa-salons, barber shops, and found out that they all have one thing in common — a front page with panels. This concept is not new at all, but I haven’t seen a theme that could implement it in a clean, minimalistic way so I decided to build it. 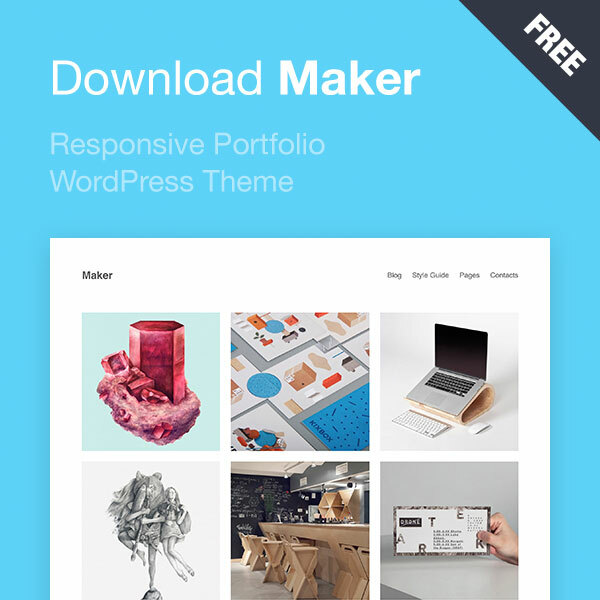 The heart of the theme is its flexible front page that can display up to ten panels. 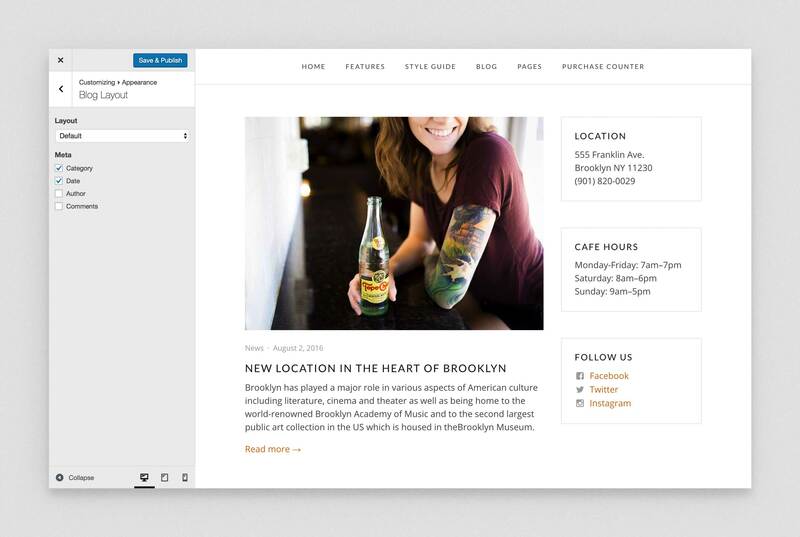 You create panel content as a regular page and then assign it to one of the panels in Customizer. Another cool feature is the blog page that can be configured to display posts in a three or one-column layout. 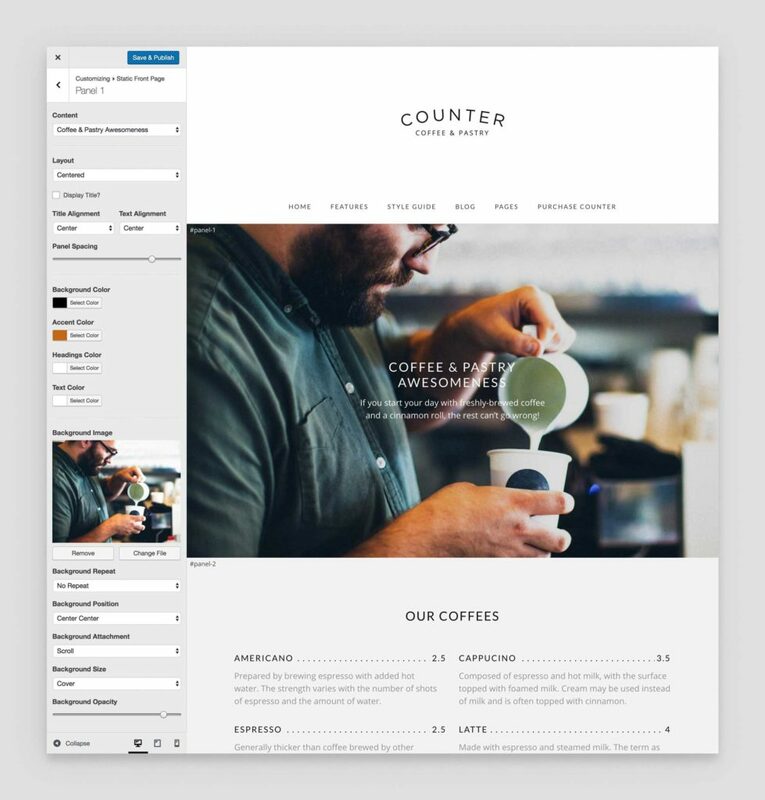 It goes without saying that Counter has all the standard customization options and comes with a year of updates and support. So to wrap it up, I welcome you to learn more about the theme or launch the demo to see it in action.